From "Juggling, the Art and its Artists"
Enrico Rastelli was the most famous and, in the opinion of many, the greatest juggler who ever lived. He was one of variety's most celebrated celebrities at a time when variety was the main form of entertainment. His audiences as well as the press loved him as much for his personality as for his act, which was the standard to which his contemporaries were compared. His career consisted of three distinct periods, the first being Japanese style ball-manipulation which was inspired by the juggler Takaschima whom he had seen in Russia as a youth. During the second period he wore a silk costume and worked with rubber balls. Finally, with the increasing popularity of soccer, he changed his act again, and began juggling with leather soccer balls. He knew how to change his style to keep up with the fashions of the day and how to make reporters enjoy writing about him. As well as his work with large balls, he also juggled up to ten small balls, which is generally considered the record. In addition to balls, he also juggled plates and sticks, all of which was combined with equilibristics, antipodism and acrobatics. He died at the peak of his career in 1931, aged thirty-four, at his home in Bergamo, Italy. Several thousand mourners attended the funeral. 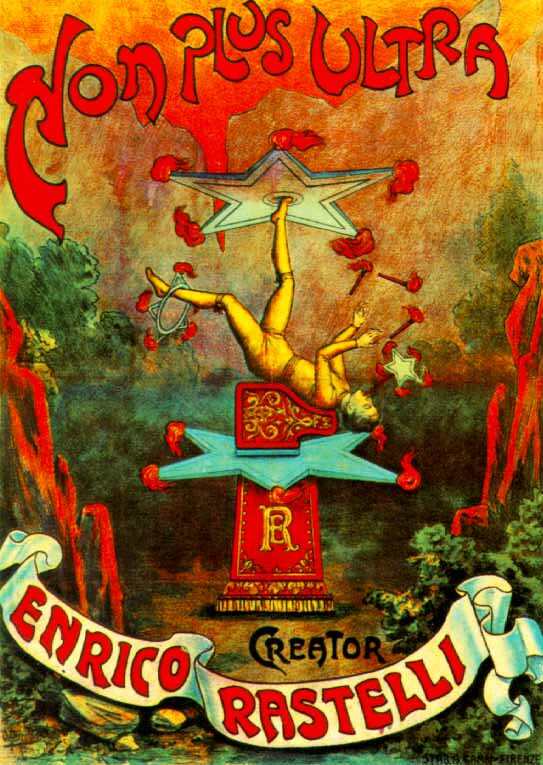 Nothing short of the resurrection of vaudeville could make such fame possible for a juggler today. 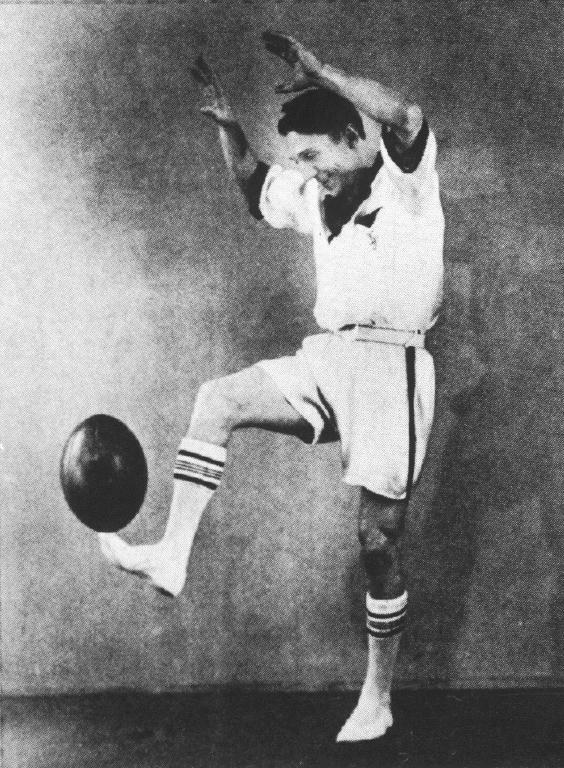 From "Juggling - its history and greatest performers"
The uniqueness of Rastelli was clearly ascribed to the fact that he had elevated the stick-and-ball to heights never attempted by man. If the reviewers were impressed by Rastelli's performance, as we have read, how much more so were the jugglers of that period who really understood the complexities of the tricks. Upon seeing Rastelli for the first time, jugglers were awe-struck. An endless string of difficult tricks with almost flawless precision; the famous eight plate juggle; consummate control over six sticks; and body motions that apparently spoke the language of the props, making them obey every command. It was clear that Rastelli loved to juggle and did it with a gusto which has never been excelled. But there was more. Rastelli was a superb head and hand balancer, and his personality seems to have had magic powers. Rastelli became a legend that lives to this day. His native talent, his profound understanding of the laws of physics and timing cannot be overlooked. But a more realistic explanation of his success: - Indissolvable devotion - Relentless practice. There is an excellent section on Rastelli in an article called "Notes Toward a History of Juggling", written by Marcello Truzzi with Massimiliano Truzzi. Massimiliano Truzzi learned to juggle from Rastelli. Here is a contemporary review of Rastelli at the Palace Theater in New York. Here are some pictures of Rastelli's monument, taken by the Raspyni Brothers. Here is a Biography of Rastelli, published in the Winter 1986-87 edition of Juggler's World. The description of Rastelli's death may have been drawn from sources which elaborated on the truth for dramatic effect. Other accounts say he died of a stroke. This article comparing Kara and Rastelli was published in the IJA Newsletter in January 1964. It is a translation from a 1939 piece in the German magazine Die Deutsche Artistik. Here is an MPEG movie of Rastelli from the Great Jugglers of the Past section of the JIS Movie Theater. "Juggling, the Art and its Artists"
by Karl-Heinz Ziethen and Andrew Allen, Berlin 1985. ISBN 3-9801140-1-5. As well as the text above this book has fourteen pages of pictures of Rastelli. "Juggling - its history and greatest performers"
by Francisco Alvarez, Albuquerque 1984. This book contains eight pages of line drawings of Rastelli, based on photographs. There is also further information on his life and death, including contemporary reviews of his performances. The Juggling Hall of Fame is maintained for the Juggling Information Service by Andrew Conway. Comments and suggestions to fame@juggling.org. © 1995, 1996 Juggling Information Service. All Rights Reserved.